Travis Matthews, a portrait and fashion photographer from Guyana, who currently resides and works in NYC, lives by the motto "create to inspire." Everything from his personal work to what he has created for an incredible roster of clients, including Puma, Urban Outfitters, VP Records, and more, all beautifully represent his unique vision and goal to inspire others. Tell us a little a bit about yourself and what you do. TM: My name is Travis Matthews and I am a self-taught portrait and fashion photographer. I was born in Georgetown, Guyana, South America, and I am currently based in NYC. I have loved photography since the fifth grade when I was introduced to it in the after-school program. Then, in high school, I started taking pictures on my iPhone of flowers and landscapes. At that time, my best friend had just bought her first DSLR camera and I was motivated to get one and further explore my budding interest in photography. Today, I find that I am inspired to continue to explore and experiment in so many places. On Instagram, the Explore page is filled with so much inspiration that has led me to experiment with different methods of shooting. To this day, I experiment with all types of cameras. TM: I first started using a Polaroid camera in 2016 because I wanted a change from shooting digital. Also, truthfully, because it just looked fun to have an image you just composed appear instantly visible in your hand within seconds. I actually captured one of my favorite Polaroid images the first time I used a Polaroid camera. I have always been a camera collector and I am interested in finding new looks and methods for my photography. Recently, I bought a Polaroid Originals Impulse 600 and tried it with 600 film for the first time; I fell in love. I knew my collection wouldn’t be complete without trying the legendary Polaroid SX-70, so I went out and purchased one! The first pack I shot did not come out well because my rollers weren't clean. However, my second pack was really special; they are the images captured in this feature. 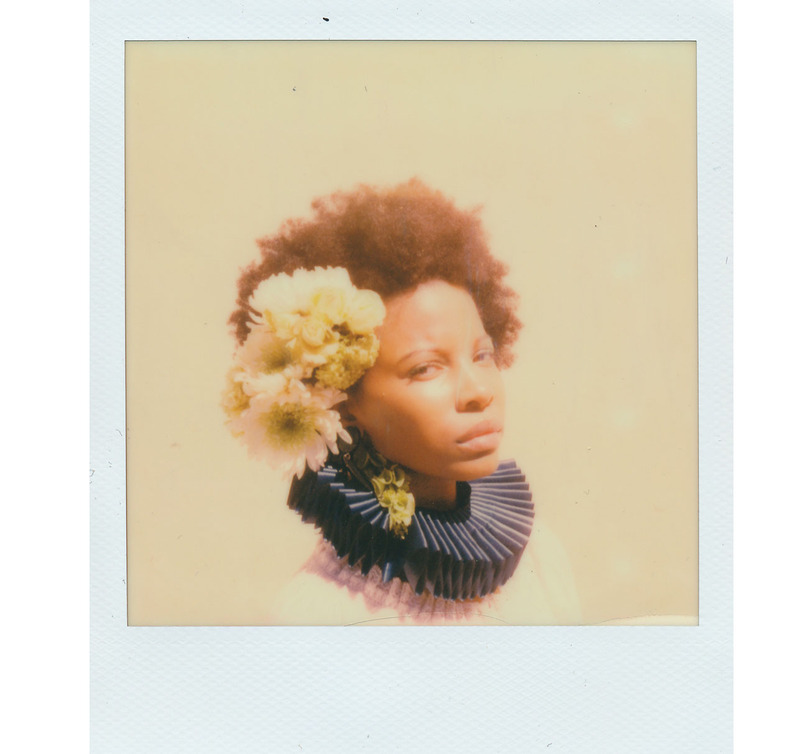 I used Polaroid Originals Color 600 instant film with a neutral density filter. I am still very interested in trying to collect a vintage Polaroid Land Camera 100 series and a Polaroid instant digital camera. Tell us about this incredible Floral Renaissance series. 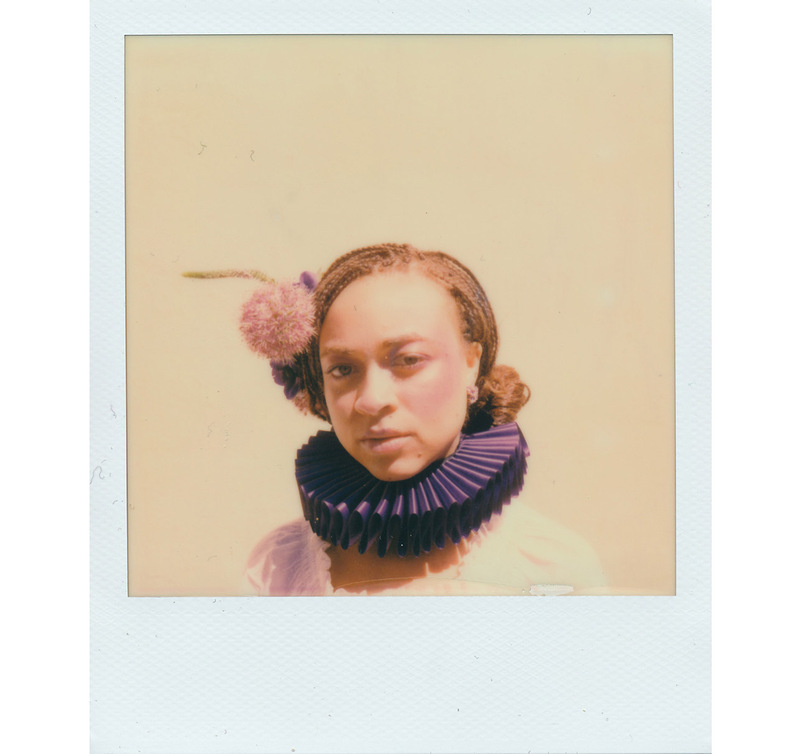 TM: The Floral Renaissance series was inspired by a few things: a side profile picture, flower crowns, highlighted makeup, and a ruff. I randomly saw all of these different things throughout the course of one month and was inspired by each. I'm at a point with my photography where I don’t rush to shoot any of my ideas, I let the ideas manifest so when I shoot them, they can realize their full potential. I live by the motto “Create to inspire,” so my hope with this series was to inspire someone to go create and inspire someone else. TM: I find my inspiration from everywhere: Instagram, Tumblr, Pinterest, and walking on the street observing styles. As a fashion photographer, I am drawn to clothing; I love seeing unique pieces and simple pieces. Clothing plays a huge role in my photography, I believe we often sometimes shoot the clothes instead of the person in them. If styled and photographed right, I feel like the clothing is doing the modeling and not the model! What do you tend to shoot with your Polaroid camera? TM: With my Polaroid camera, I tend to shoot mostly portraits because there is something really special about a Polaroid portrait. It always is able to tell a unique story: whether it’s from the subject’s end or the photographer’s end. An instant portrait furthers this story because you're not going to be able to change the narrative to your liking, there is no editing involved. How do your subjects respond to their instant photographs? TM: All my subjects are blown away when they see the instant photograph because the colors are so vivid and different from what they are used to and have seen before. 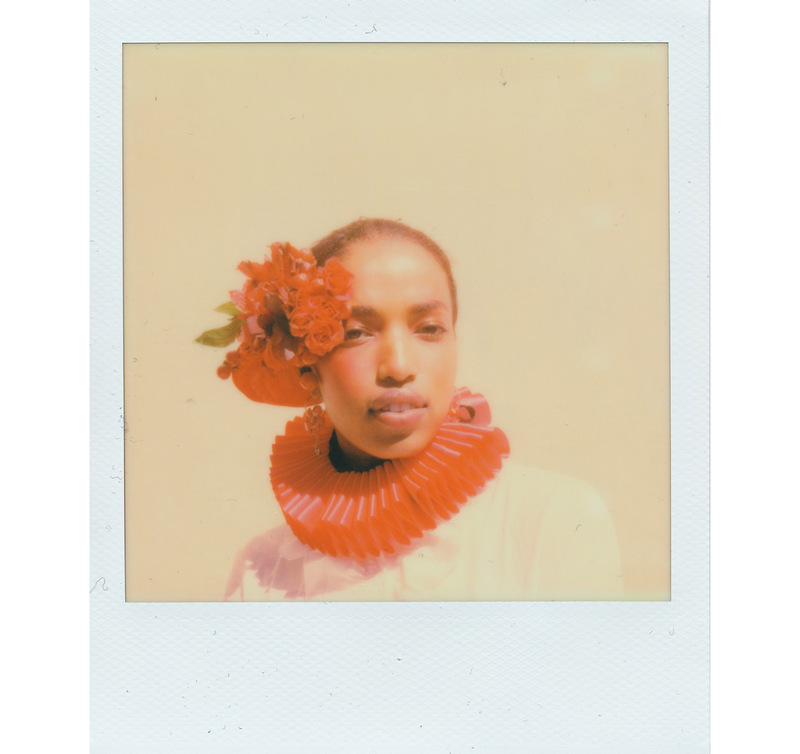 How had or has instant photography impacted you as a photographer? TM: Instant photography has impacted me in a couple of ways: one being that it gave me a different style I can add to my rotation. Another way that it has impacted me is more personal, when I go back into my archive and hold an image in my hands it brings me back in time to that moment and experience I had with that person. It's entirely different from looking at a digital image because the end result can't be altered to your liking, you have to accept it as it is and come to terms with what develops. So the more you look at the picture, you more you have to accept its uniqueness and flaws. 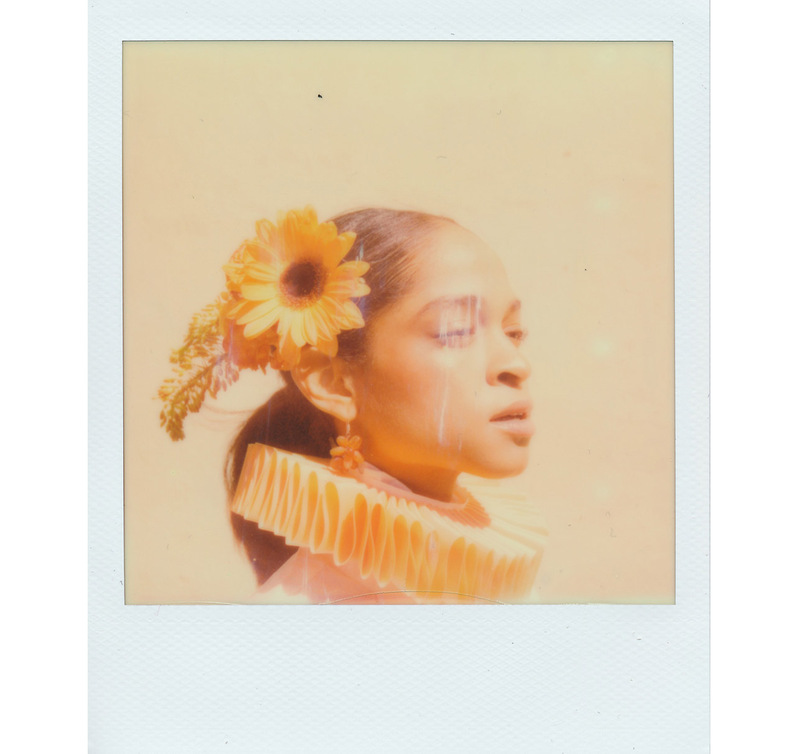 TM: I am currently working on a beauty series featuring three models in swim caps, where I will be using my Polaroid SX-70 and Polaroid Originals color film. I am also working on a HUGE project where I will be shooting 100+ women in cornrows and I will exhibit them in June. 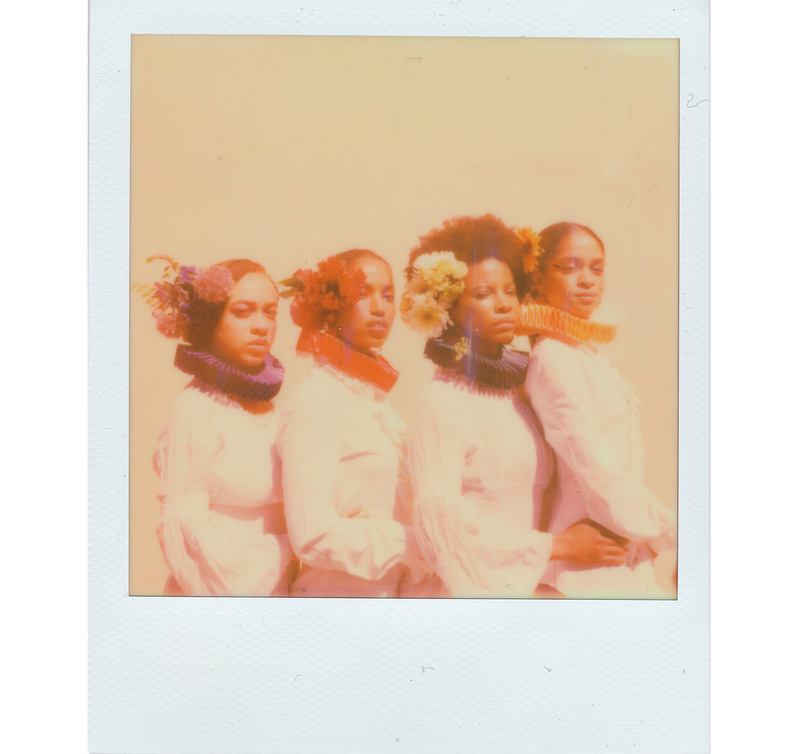 TM: Polaroid plays a huge role in my work today, it honestly keeps me going and inspired. It gives me a different feel and vibe from digital and film. It also tracks the progress that I’m making as a photographer, and I can physically hold that in my hands. To see more of Travis' work, check him out on Instagram at @a_kid_named_trav or check out his website, travismatthews.co.